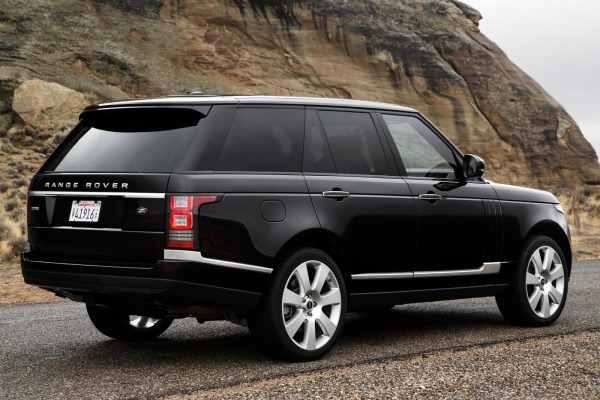 The 2014 Range Rover base model will feature a supercharged 3.0-liter V6 engine instead of a naturally aspirated 5.0-liter V8 engine. The 3.0-liter V6 engine delivers 340 horsepower, a 35 hp drop compared to the base 5.0-liter V8 engine. A 510-hp supercharged 5.0-liter V8 engine will also be offered in the 2014 Range Rover. MAHWAH, New Jersey — The 2014 Range Rover jumps on the engine-downsizing movement with word that the base model will feature a supercharged 3.0-liter V6 engine instead of a naturally aspirated 5.0-liter V8 engine.